The J-MOD Cable Support System features a modular design for complete flexibility of assembly in multiple configurations. Mounting brackets facilitate attachment to ceilings, beams, threaded rods and drop wires to meet the requirements of a variety of applications. 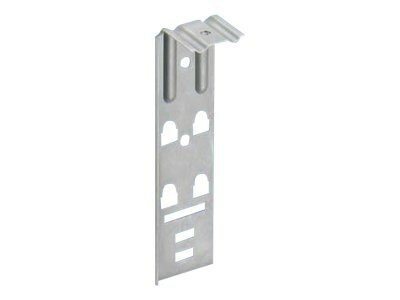 The unique chaining bracket creates a strong metal backbone and allows for expansion of the system without disturbance of an existing installation. The non-metallic J Hook features complete horizontal and vertical 1" bend radius control, which helps prevent degradation of cable performance. It is manufactured from a nylon material that is suitable for use in air handling spaces per UL 2043. The J-MOD Cable Support System is durable and reliable to withstand the most demanding applications.